It is that time of year….the season for parties…Christmas breakups, Christmas Eve, Christmas Day and then on to New Years Eve. 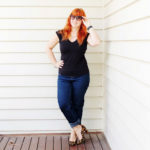 I have had quite a few people asking me where I have found my vintage outfits, so for My Friday Five this week, I am sharing my secrets! 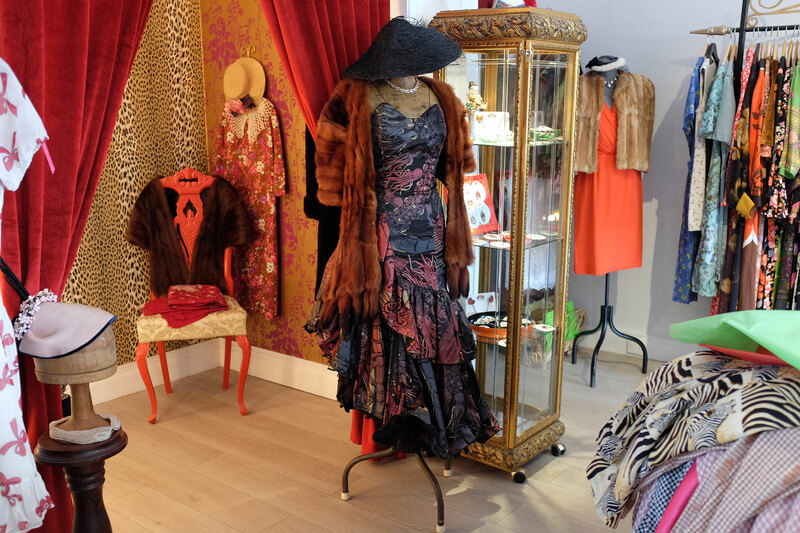 Below is a list of some my favourite vintage stores where you can find an outfit with a difference, and not be in fear of someone else turning up wearing the same! All these shops are local businesses, so no having to fight for a carpark at a shopping centre! And you may also find some great gift ideas too…everything from jewellery such as brooches and necklaces, to hats and handbags. Time to get shopping, and look fabulous this silly season! 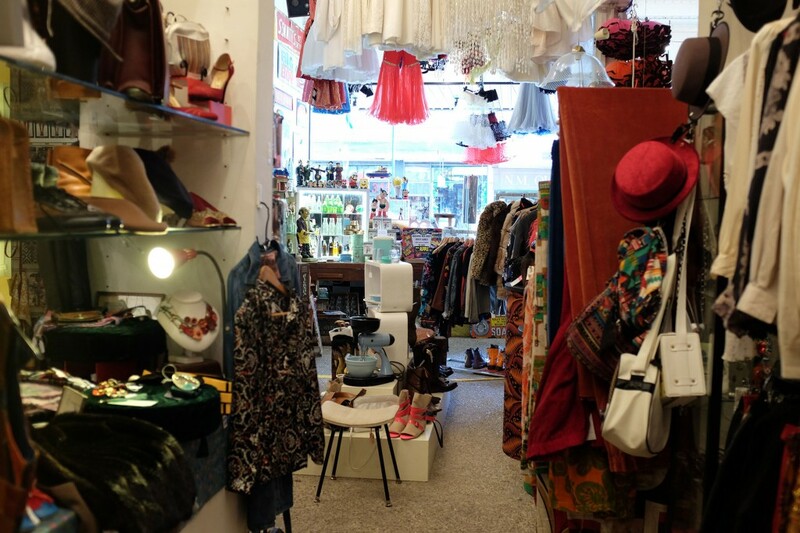 Located above a pharmacy, Frocks and Slacks is a vintage wonderland jammed packed with vintage clothing and accessories for both men and women. 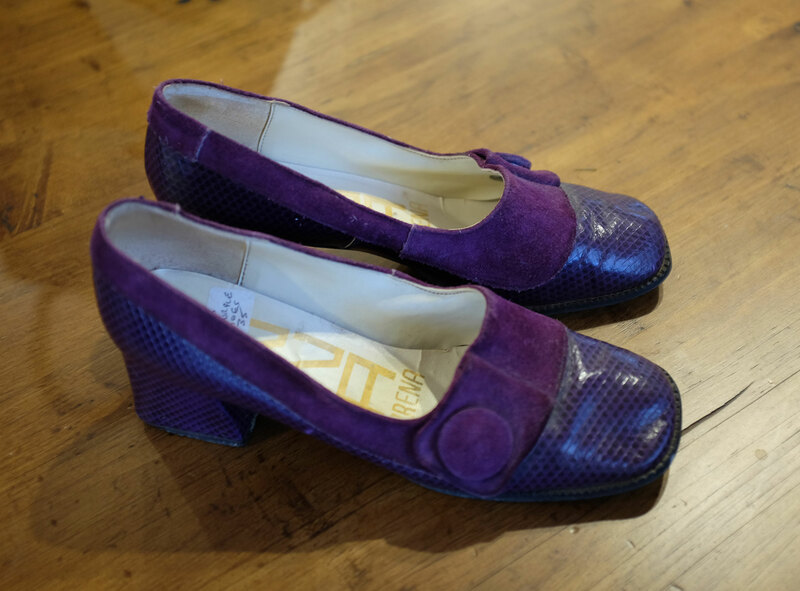 Tracey is an absolute whiz at finding just the perfect outfit….she just knows what will suit you! Believe me, put yourself into her capable hands, and you will finish up with the best outfit…or two! I now have some absolutely amazing dresses and skirts thanks to Tracey, and she always lets me know if something comes in that I will love! 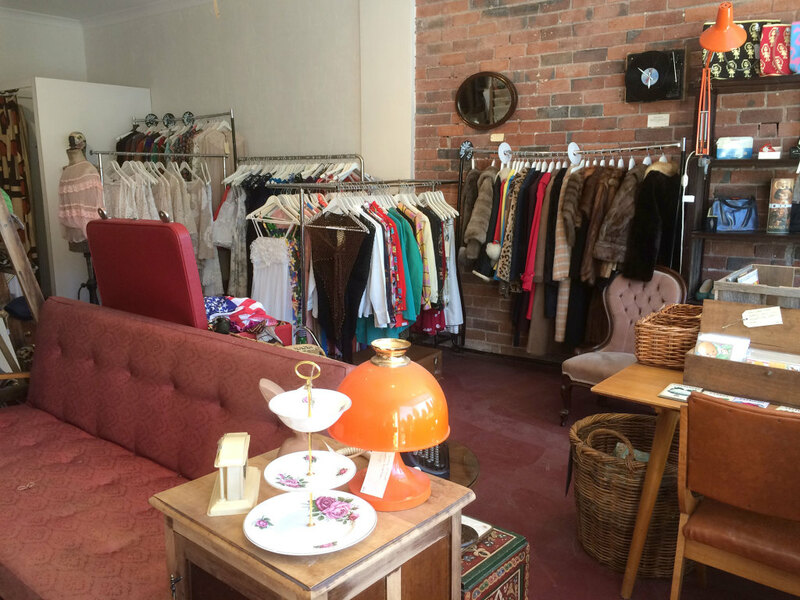 This store is beautifully set up, with the most amazing dressing room! Joanne stocks both vintage and new clothing, as well as lots of accessories! 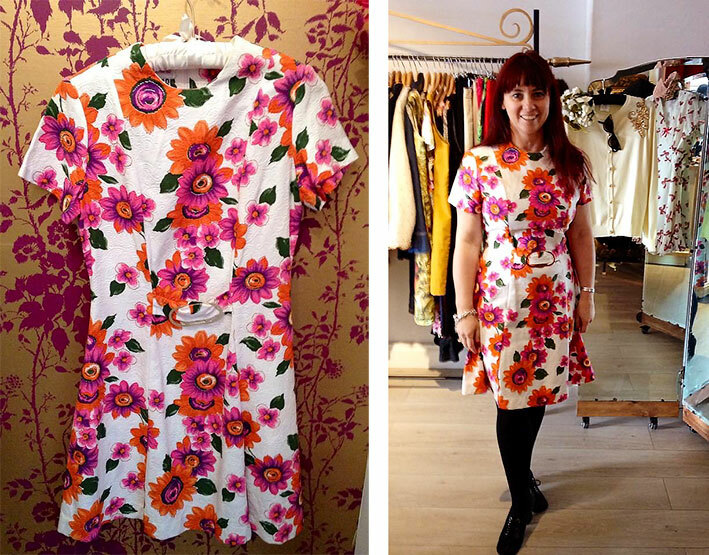 I found this amazing vintage dress here…I got more than a little excited when I tried it on and it fitted me perfectly! Needless to say, it has quickly has become a favourite! 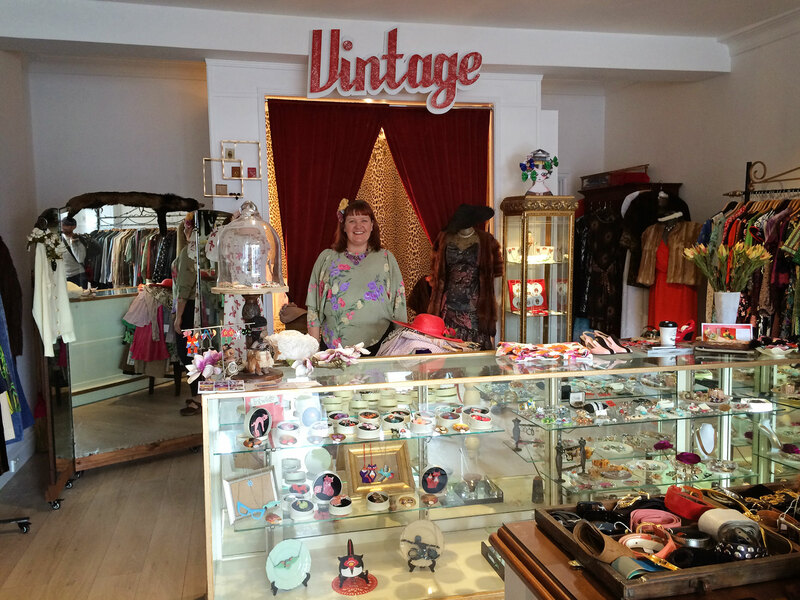 This was one of the first vintage stores I ever visited, and have loved popping in to see Amy whenever we can! 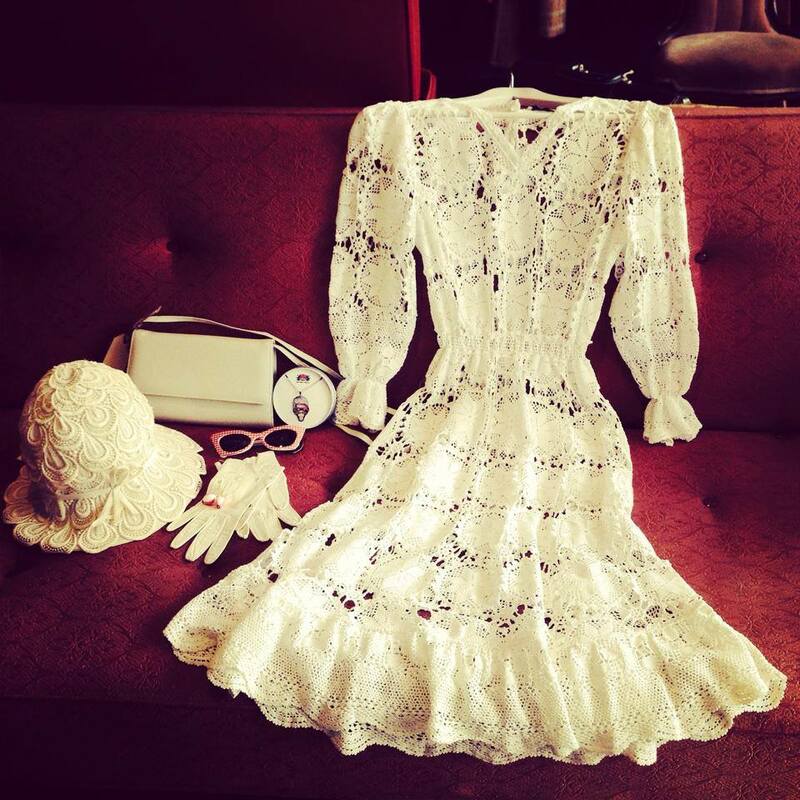 I have got some beautiful outfits there, including this vintage lace dress…it is just divine to wear! 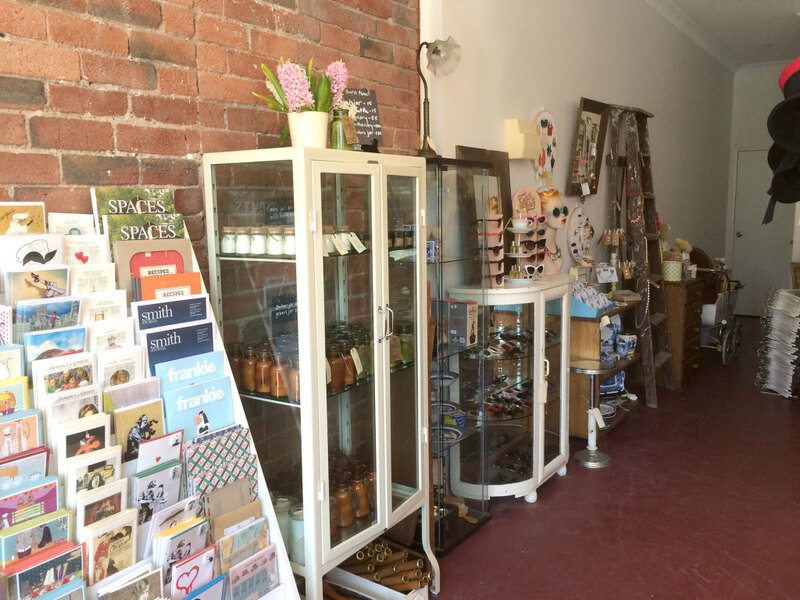 Amy also stocks lots of lovely jewellery, greeting cards, candles, Catch a Thief sunglasses….so many gorgeous things! This fabulous vintage shop is located in Ballarat, and is well worth a trip up the highway! We have only been able to visit once this year, but am hoping to get back there ASAP to catch up with Jennifer and Phillip. 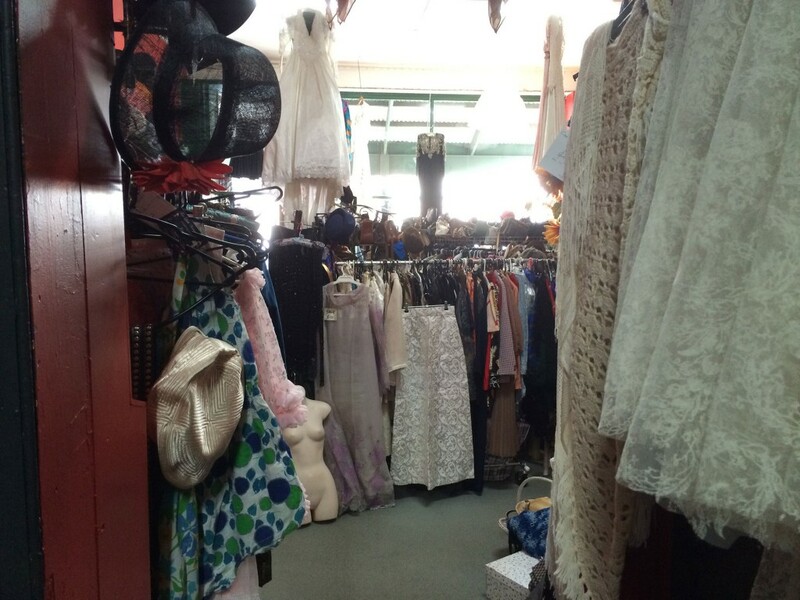 The shop is packed full of clothing and accessories…there are even wedding dresses and formal gowns! 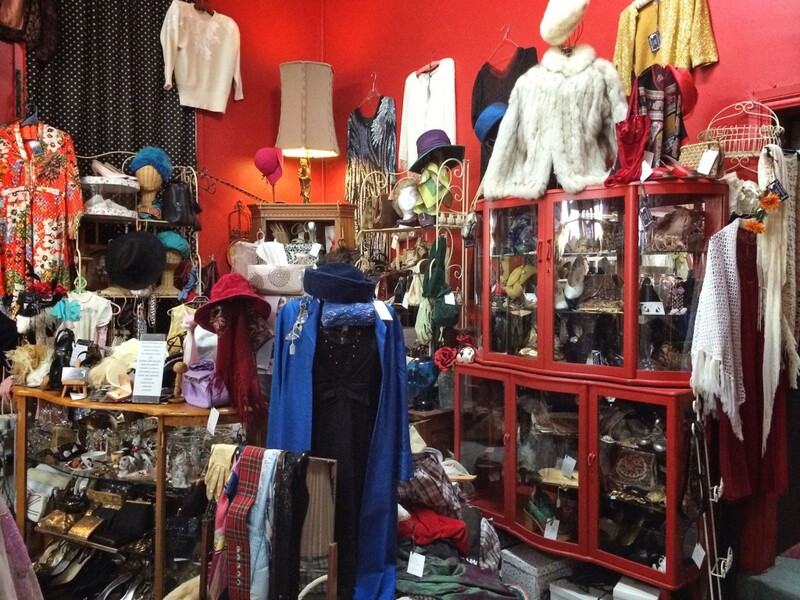 That Little Vintage Shop is located at 13 Main Rd, Ballarat VIC 3350. This store is different from the others, as there are more than 30 different traders set up under the one roof. If you are looking for something a little more “out there”, then this is definitely worth a visit! The staff are friendly and helpful, but you won’t get the one on one service like the others, so be prepared to do some fossicking amoungst the racks! And if you are looking for a quirky gift, this might just be the place to find it! 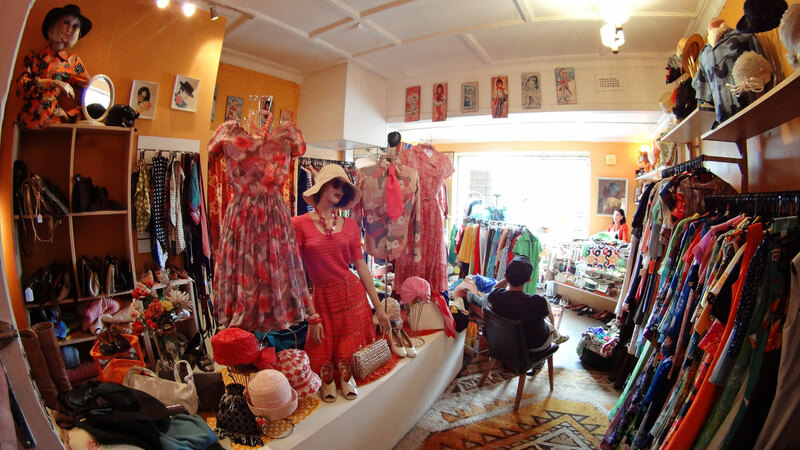 One word of advice…when visiting any of the above stores, make sure you allow enough time to browse and enjoy the uniqueness of each one….slow down and enjoy the vintage world! And I look forward to seeing images of you all in your wonderful festive season vintage outfits! 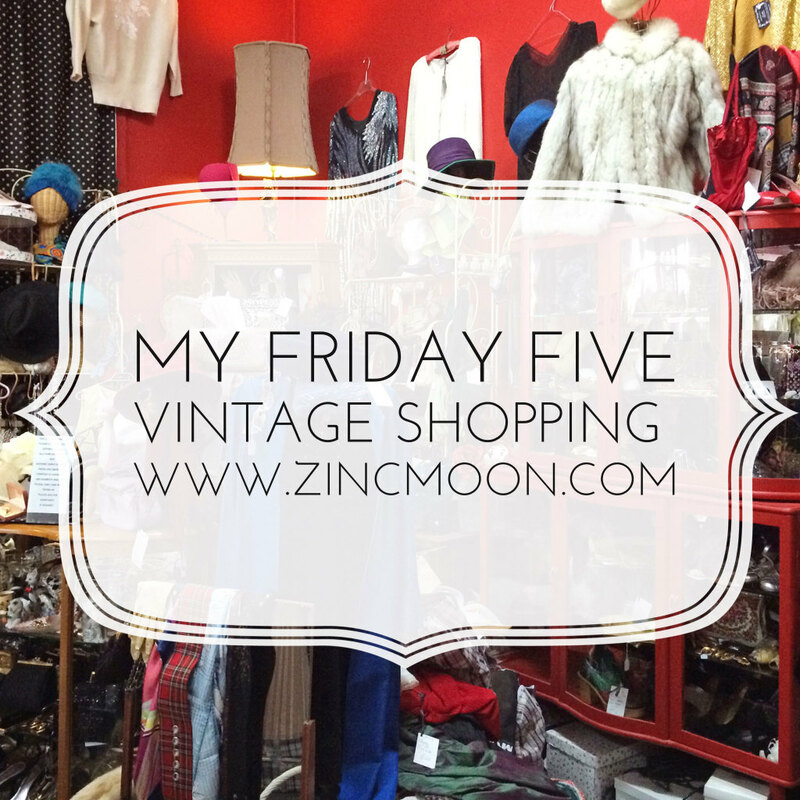 Where do you shop for vintage clothing? Let me know your favourite destinations!